MOSCOW (Reuters) -- Russia may tighten retaliatory sanctions against Western nations to include a ban on imports of cars, if the European Union and the U.S. impose additional sanctions on Moscow, the Vedomosti daily newspaper reported today. The impact of the measure on many foreign automakers would be softened because their factories inside Russia would not be affected, but high-end brands such as Daimler's Mercedes-Benz and Volvo could be more vulnerable as they have to be imported. No-one at Daimler or Volvo was immediately available for comment. The West accuses Russia of arming separatist rebels in Ukraine, an allegation Moscow denies. Western governments imposed sanctions on Moscow, including on its financial and energy sectors, and Russia has already hit back by stopping imports of many food products. Vedomosti reported that a ban on vehicle imports was among additional proposals put before Russian President Vladimir Putin, saying he had rejected the idea but it remained an option in the event that Western nations impose new sanctions on Russia. Citing an unnamed government source, the newspaper said Russia may fully or partly ban imports of cars from countries which impose sanctions on Moscow, though it also quoted another source saying the government had not yet been instructed to prepare the introduction of any new measures. Russia's industry ministry had no immediate comment. The article did not specify if the proposed ban would cover all imported vehicles, including trucks and buses as well as passenger cars. Imported vehicles accounted for 27 percent of passenger car sales in the first half of 2014, while for trucks and buses the proportion was 46 percent and 13 percent respectively, Vedomosti said. 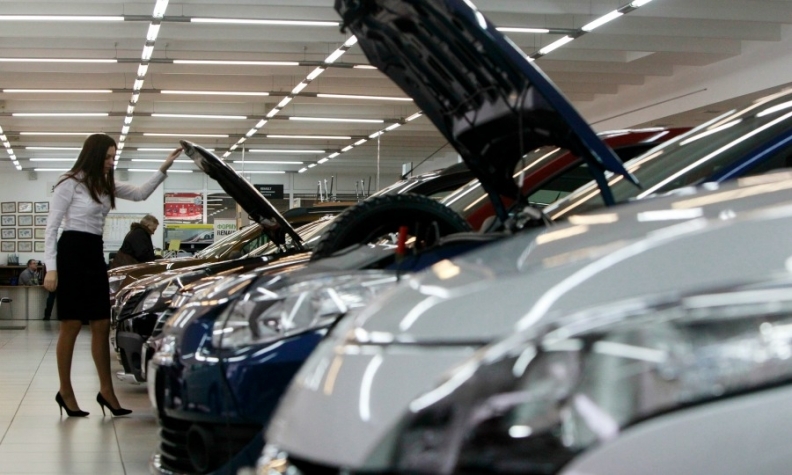 Overall car sales in Russia dropped 5.5 percent to 2.6 million last year, according to data from the Moscow-based Association of European Businesses. Problems associated with the Ukraine conflict and a weak ruble have led the AEB to revise its 2014 outlook for the market from a 1.6 percent decline to a 12 percent drop this year. The country's sales slipped 23 percent in July, pulling seven-month sales down 10 percent to 1.41 million cars and light commercial vehicles, according to AEB data. The new ban would not apply to foreign automakers' production inside Russia, the newspaper said. Ford Motor Co., Volkswagen Group, Renault, Toyota Motor Corp. and Hyundai Motor Co. are among automakers with production facilities inside Russia. A ban on Western car imports could benefit Asian manufacturers such as China's Great Wall and Chery and South Korea's SsangYong Motor, who have set up or plan to set up local production in Russia. The newspaper added that proposals for new measures had already been sent to Putin for consideration but that no decision had been taken to prepare any new sanctions yet. New trade restrictions are possible in the event Western nations impose additional sanctions on Moscow, the newspaper added. Russia has imposed a ban on certain agricultural imports from the EU, the U.S., Australia, Canada and Norway. It has also said the government could introduce protective measures in aircraft, shipbuilding and automotive industries.